Surf's up and Aloha! Aloha To Go surfs the street providing Hawaiian goodness. Think kalua pork, shoyo chicken, teriyaki beef, and more! 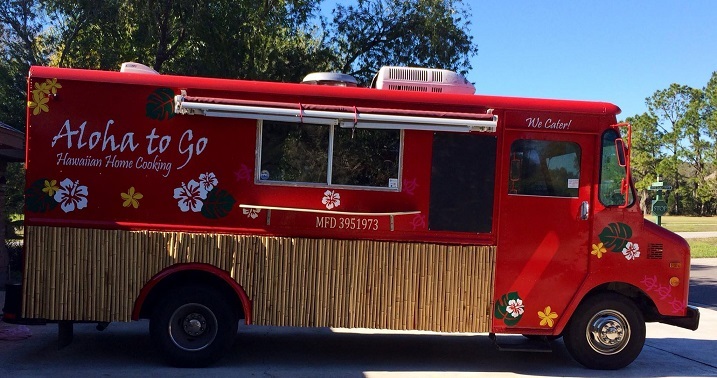 Aloha To Go offers hawaiian home cooking in a eye catching red truck complete with a hula skirt. Book Aloha To Go with us for your next Luau or your next event! Contact us today to book this food truck for your next event! Would you like to book a truck for your next event?